except a couple listed as "IBT Archives"
Tobin saw that technology was radically changing the freight-moving industry. Recognizing the trend and to motorization as more than a passing fad, he set out to organize the fast growing motorized truck delivery industry. He began by organizing motor truck drivers and prevailed on horse and wagon companies to train their drivers in automotive skills. In 1912, Teamsters were part of the first transcontinental delivery of goods by motor truck. The wave of the future was obvious to even the most die-hard traditionalists, and Teamsters had secured themselves a place as leaders of the transition. 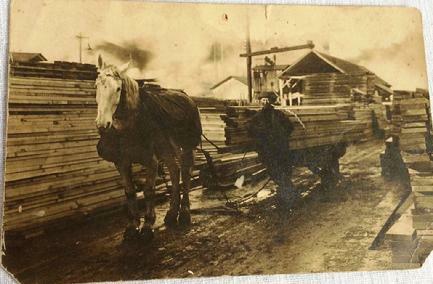 For several years, trucks and horses worked some of the same jobs: Teamsters at the reins and at the wheel. 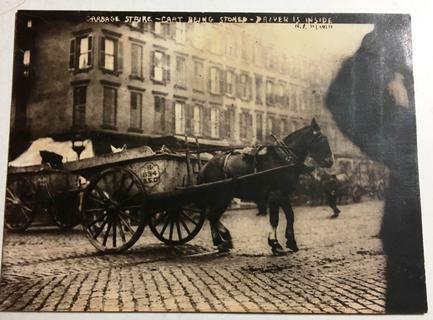 Desperate to compete with the new motor carriers, horse-drawn freight firms tried to save money by eliminating feedings for Teamsters horses. Teamsters responded by striking, winning important safeguards for their animals’ well-being. 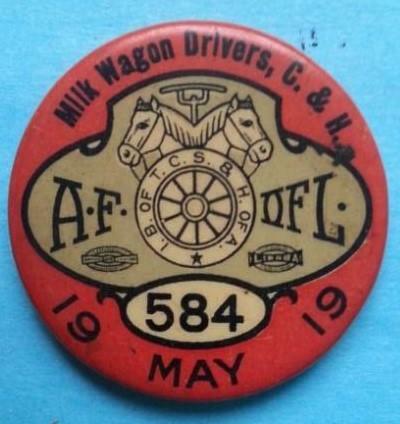 As further proof of their devotion to their loyal partners, even amid the many changes, Teamsters declared by proclamation at the 1916 Convention that the horse would always be the heart of the union and always remain a part of any badge, button, logo or flag. 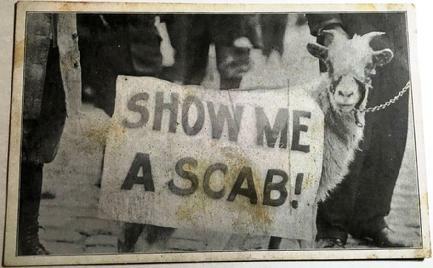 Columbus, Ohio 1910 Street Car Strike Show Me A Scab! 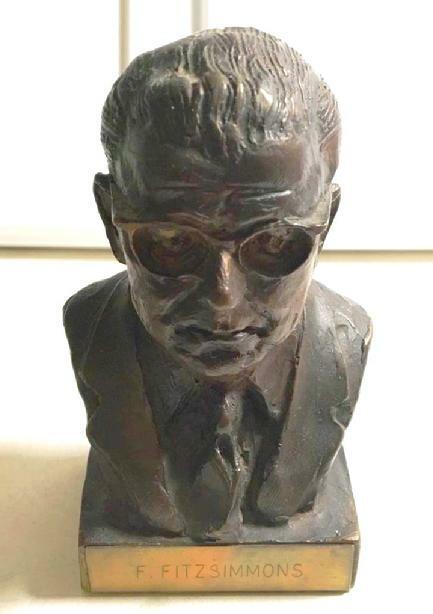 Robert �Bobby� Holmes, who created the financial institution to serve Teamsters and their families, was a confidant of a young Jimmy Hoffa � and the two of them organized a strike in 1931 that led to the creation of the union we know today. Robert Holmes, who helped a teenage James Hoffa launch his career as a labor organizer and then served for decades as a Teamsters Union. 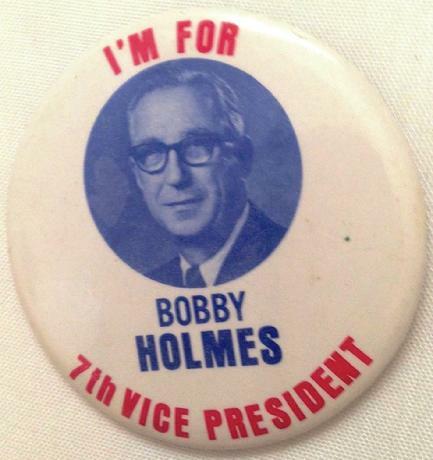 Until 1989, Bobby Holmes served Teamsters International vice president, director of the Central Conference and president of Teamsters Local 337 in Detroit. He died in February 2006. 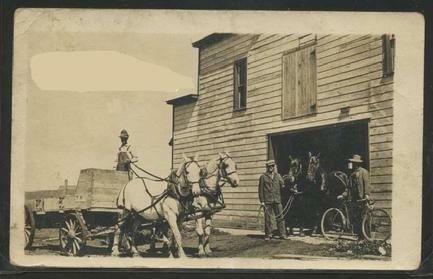 For several years, trucks and horses worked some of the same jobs: Teamsters at the reins and at the wheel. 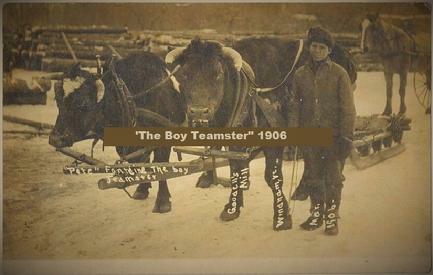 Desperate to compete with the new motor carriers, horse-drawn freight firms tried to save money by eliminating feedings for Teamsters horses. Teamsters responded by striking, winning important safeguards for their animals’ wellbeing. 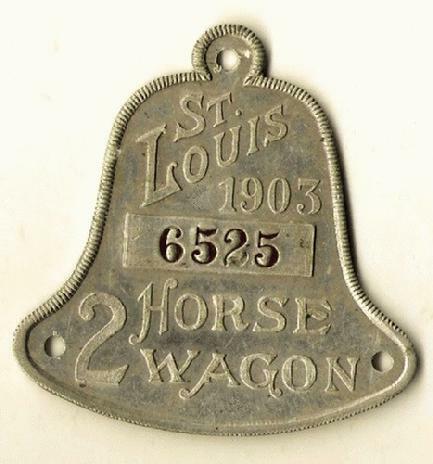 As further proof of their devotion to their loyal partners, even amid the many changes, Teamsters declared by proclamation at the 1916 Convention that the horse would always be the heart of the union and always remain a part of any badge, button, logo or flag. 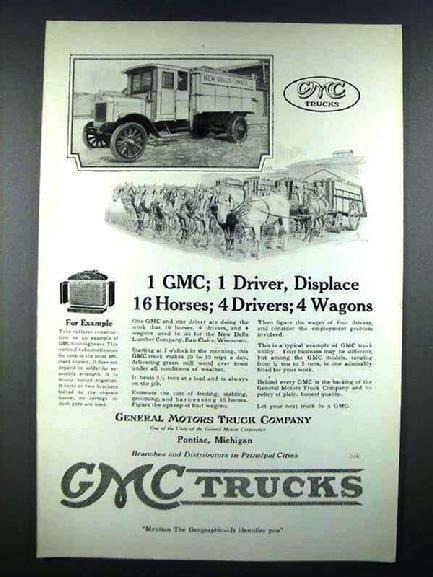 Rare1919 GMC Truck Ad showing the devastating affect this truck will have on early Teamster jobs. Teamsters Local 710 was a founding local of the International Brotherhood of Teamsters and was issued its first charter on October 1, 1903. Local 710 was originally located across from the Great Chicago Stockyards on Halsted St. for more than 100 years, even after the permanent closing of the stockyards in 1971. Local 710 also had a union office located in the Drovers Bank Building at 4200 S. Halsted St. until the entire building was destroyed by fire in April 1934. Most of the early records of the local were destroyed in the fire as well, save for the record of minutes of its membership and executive board meetings going back to the early 1920s. During the post-war era, the country was experiencing rapid economic growth. With massive organizing campaigns in the freight and small package industries, Local 710’s membership quickly expanded as well. 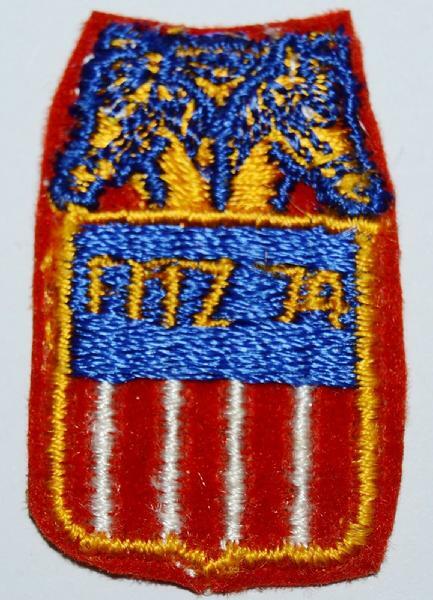 By the mid-1960s, Local 710 represented more than 25,000 hardworking men and women. The Brotherhood of Railroad Trainmen (BRT) was a labor organization for railroad employees founded in 1883. It was originally called the Brotherhood of Railroad Brakemen. 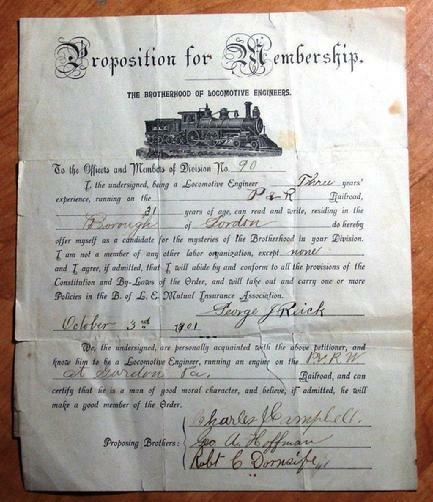 Its purpose was to negotiate contracts with railroad management and to provide insurance for members. 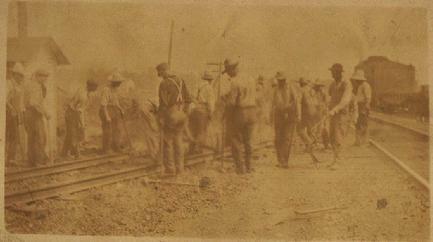 The BRT grew to become the largest brotherhood of operating railroad employees. 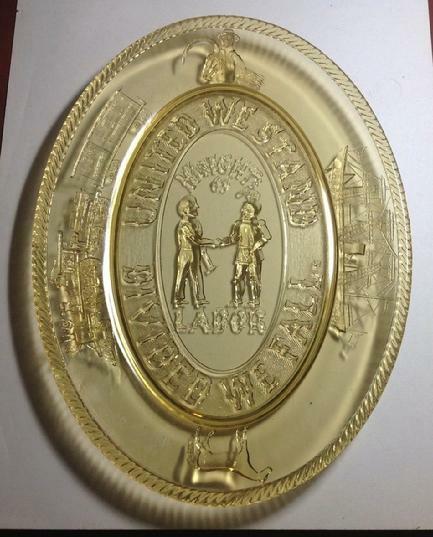 In 1969 it merged with three other unions to form the United Transportation Union. The Brotherhood was founded on 23 September 1883 in Oneonta, New York by eight brakemen in Delaware and Hudson Railway Caboose No. 10. 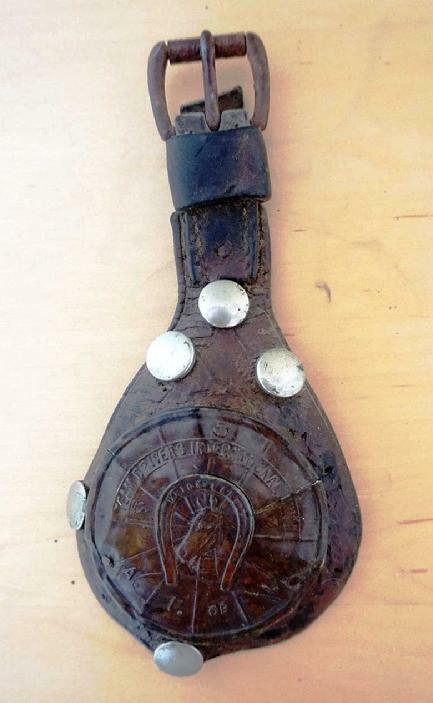 The original name was the Brotherhood of Railroad Brakemen. At the time, wages were just over $1 a day. The work was dangerous, with 33% of brakemen being injured in the year of foundation. The Brotherhood offered death coverage of up to $300, and was the only way members could obtain insurance. The Brotherhood's insurance department was established in 1885 and maximum death benefits raised to $600. The union restricted membership to whites. Railway managers and superintendents recognize in the Brotherhood a school for the mental, moral and physical improvement of its members, and consequently a better and more desirable class of men, who can be depended upon at all times, and into whose care and watchfulness thousands of lives and millions of dollars’ worth of property can be safely entrusted. 1889 was a year of growth. 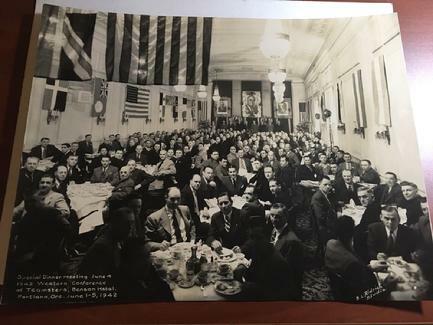 The first Ladies' Auxiliary was organized in Fort Gratiot, Michigan. The Brotherhood changed its name to the Brotherhood of Railroad Trainmen, and expanded its membership to over fourteen trade classifications. Working with the Brotherhood of Locomotive Firemen, the BRT engaged Lorenzo S. Coffin, formerly a railroad commissioner of Iowa, to present its case for better working conditions in Washington There was an economic downturn in the 1890s, causing many members of the BRT to lose their jobs. The problems were compounded by the 1894 Pullman Strike, when the Brotherhood expelled members for supporting the strikers. In all, the BRT lost 9,000 members. By the time of the 1895 convention there were less than 10,000 members remaining and the union had debts of $105,000. At the May 1895 BRT convention in Galesburg, Illinois, Wilkinson offered his resignation and it was accepted. Patrick H. Morrissey (1862–1916) had been Vice-Grand Master of the BRT from 1889, helping establish new lodges across the country. He was elected to replace Wilkinson as Grandmaster and headed the Brotherhood from 1895 to 1909. Morrissey worked with the Order of Railway Conductors in 1902 to negotiate with the western railroads, where the two unions won contracts they used as a model elsewhere. By acting on a regional basis rather than dealing with each company separately, the BRT prevented the railroad companies from exploiting differences between workers on different lines. In 1902 Morrissey provided support when Samuel Gompers of the Labor called for help for striking coal miners in West Virginia. By the end of his tenure the Brotherhood had 120,000 members, $2 million in insurance funds and had a strike fund of $1.5 million. In January 1909 William Granville Lee was elected grand-master of the BRT, and relocated to the Brotherhood's headquarters in Cleveland, Ohio. 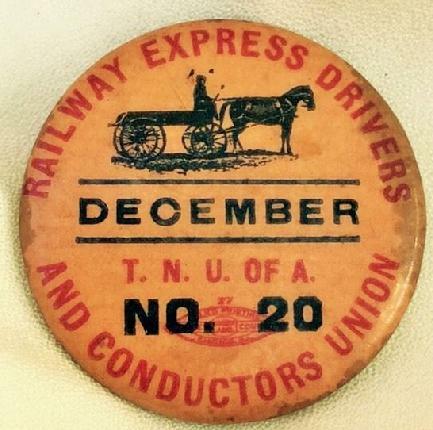 During the eastern railroad strike of 1913, Erie Railroad employees demanded a 20% increase in wages. Erie management had refused a wage increase but compromised by asking employees to wait until January 1915 for any advance. W.G. Lee said that the only way "to deal with the Erie is through J.P. Morgan & Company, or the banks". However, he and other Union leaders agreed to stay out of the dispute. In 1913 and 1914 Lee led successful strikes against the Southern Pacific Railroad, Delaware and Hudson Railway, and the Belt. Lee worked with the other railway brotherhoods for legislation to limit working hours on interstate railroads to eight hour days, resulting in the 1916 Adamson Act. The railroads were seized by the Federal government during World War I (1914-1918). Labor made significant gains in contract conditions during the period of government control. Lee did not want to jeopardize these gains. During negotiations in 1919-20 on returning the lines to private ownership he helped to break a wildcat strike by the Switchmen's Union of North America. In 1921 the Railway Labor Board made a wage decision that fell short of union expectations, but Lee helped persuade the railway brotherhoods to accept the decision. The classical Brotherhood of Railroad Trainmen Building in Cleveland was built in 1921, designed by Charles Sumner Schneider. Lee stepped down as president of the Brotherhood of Railroad Trainmen in 1928. Alexander F. Whitney was elected president of the Brotherhood on 1 July 1928. Whitney soon became an important public figure, representing the trainmen in many discussions with government and business. During his tenure the Brotherhood of Railway Trainmen grew to 215,000 members. After Franklin D. Roosevelt took office in 1933, the president appointed a committee to draw up new legislation for the railroads. Their draft included various measures to improve efficiency. On 3 April 1933 Whitney said the plan could throw from 50,000 to 350,000 men out of work, and would violate contracts related to security of employment. He called for guarantees that the government would ensure absorptive employment, consult with the unions on any changes and prevent carriers from interfering with labor's right to organize. The Emergency Railroad Transportation Act of 16 June 1933 essentially met these conditions, and was seen by the union leaders as a great victory. 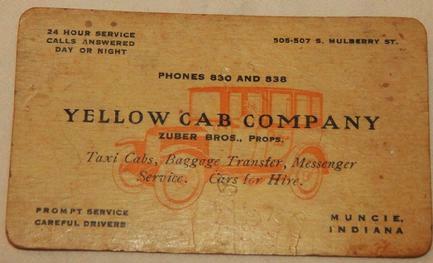 In 1933 the Brotherhood organized employees of interstate bus operators for the first time. In New York, the City Board of Transportation ran the Independent Subway System (IND). In 1937 Mayor Fiorello La Guardia invited the Brotherhood of Railroad Trainmen to represent the motormen, but had to retreat when Roy Wilkins of the NAACP pointed out that this brotherhood did not allow African-American workers to join, while the Transport Workers Union of America (TWU) did. 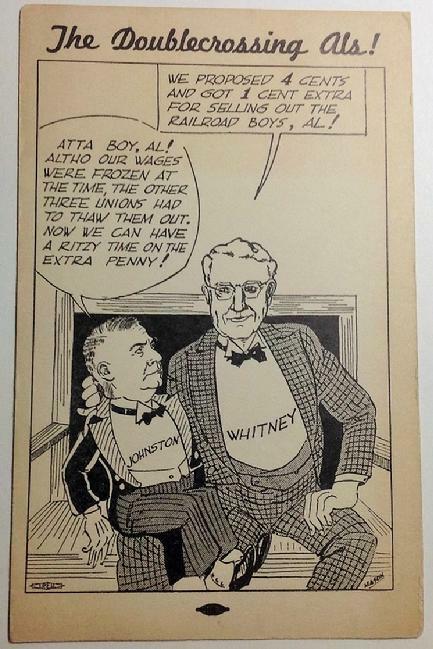 After World War II (1939-1945) ended, towards the end of 1945 Whitney and the leaders of the other main railroad unions demanded pay increases and a forty-hour work week from the railroad companies, in line with other industries. Negotiations stalled in January 1946. Three of the unions were willing to suspend their demands, but Whitney and Alvanley Johnston, leader of the Brotherhood of Locomotive Engineers, called a strike of their members to start on 16 March 1946. President Truman set up a board to hear the grievances and make recommendations. 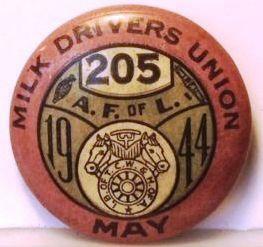 Negotiations broke down in April, and Whitney and Johnston set 18 May 1946 as the strike date. The BRT represented 211,000 trainmen and Johnston represented 78,000 engineers. They could halt all railway traffic nationwide. The day before the walkout was due Truman seized the railroads by executive order. Whitney and Johnston again agreed to postpone the strike for five days. 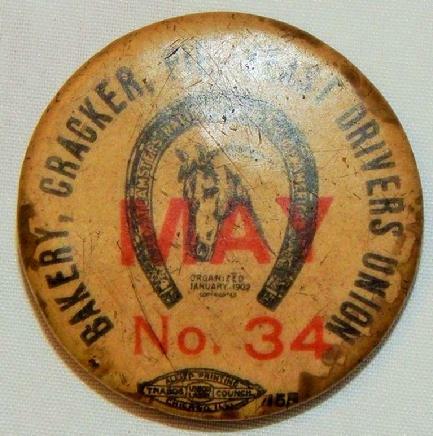 However, after hearing Truman's compromise pay offer their members voted to go on strike on 23 May 1946. The strike stranded travelers, prevented movement of perishable goods and caused concern that many people in war-devastated Europe would starve if grain shipments were delayed. Truman broadcast an appeal to the strikers to return to work, saying "It is inconceivable that in our democracy any two men should be placed in a position where they can completely stifle our economy and ultimately destroy our country." He threatened to call out the army to end the strike. On 25 May Truman was addressing Congress, calling for drastic legislation under which strikers could be drafted into the army, when word came that the strikers had accepted his terms and the strike had ended. Alexander F. Whitney died of a heart attack on 16 July 1949 at the age of 76 William Parker Kennedy was president from 1949 to 1963. On 25 August 1950 President Truman issued an order for the federal government to take control of the 131 major railroads in the United States. The order came three days before the members of the BRT and the Order of Railway Conductors, were scheduled to halt work. Truman had just ordered U.S. troops to intervene in the Korean War, and could not afford to have the railways paralyzed. The strike continued until May 1952, when the Brotherhood of Railroad Trainmen, the Order of Railway Conductors and the Brotherhood of Locomotive Firemen and Enginemen accepted the government's terms and returned to work. The Brotherhood reach its greatest size in 1956, with 217,176 members, after which railroad traffic and employment began to decline. In 1957 the BRT affiliated with the AFL-CIO and the Canadian Labour Congress. Charles Luna became president in 1963. On 1 January 1969 the BRT merged with three other unions to form the United Transportation Union. 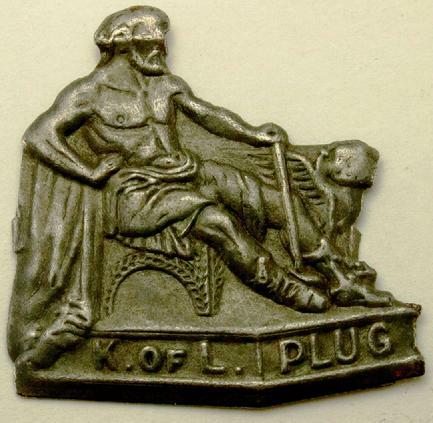 The others were the Brotherhood of Locomotive Firemen and Enginemen, the Order of Railway Conductors and Brakemen and the Switchmen’s Union of North America. Charles Luna became president of the combined union. Driving-Father Cox of "Cox's Army"
Was an American Roman Catholic priest of Pittsburgh, Pennsylvania, known for his pro-labor activism. He was a candidate for President of the United States in 1932, and also an organizer of an unprecedented protest march on Washington, DC. Cox was born in 1886 in the Lawrenceville neighborhood of Pittsburgh, growing up in an unparalleled period of industrial expansion. He began as a cab driver and steelworker, working his way through Duquesne University. He next entered Saint Vincent Seminary in Latrobe, Pennsylvania and was ordained in 1911. From 1917 to 1919, he served in World War I as chaplain at Mongoson, France. 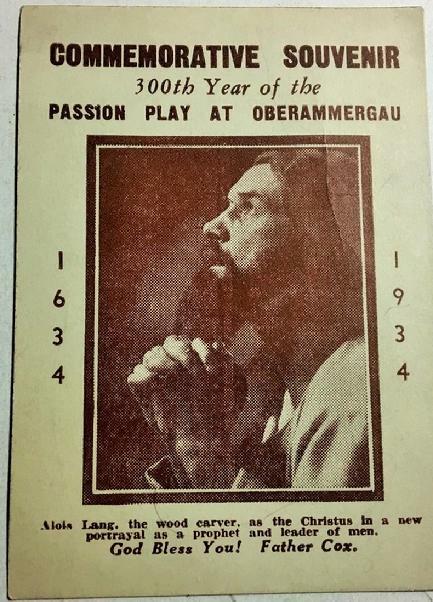 After the war, he enrolled in the University of Pittsburgh, earning a master of economics degree, and he was appointed pastor in 1923 at Old St. Patrick's Church in the Strip District. During the Great Depression, he organized a food-relief program and helped the homeless and unemployed find shelter. In January 1932, Cox led a march of 25,000 unemployed Pennsylvanians, dubbed "Cox's Army", on Washington, D.C, and the largest demonstration to date in the nation's capital. He hoped the action would stir Congress to start a public works program and to increase the inheritance tax to 70%. Even Pennsylvania's Republican governor Gifford Pinchot backed Cox's march. 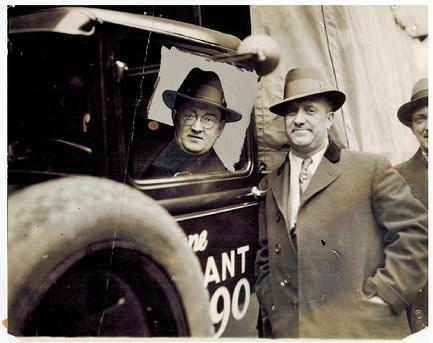 Pinchot hoped Cox would back his own hopes to wrest away the Republican nomination for president away from Hoover. Cox had other plans. Herbert Hoover was sufficiently embarrassed by the march that a full-scale investigation was launched against Cox. The Republican National Committee wanted to know how Cox was able to purchase enough gasoline to get the marchers to Washington, suggesting the Vatican, or Democratic supporters of Al Smith funded the operation. It turned out that Andrew Mellon had quietly ordered his Gulf Oil gas stations to dispense free gas to the marchers. This proved to be the pretext for Hoover to remove Mellon from his post as Secretary of the Treasury. The march sparked the formation of the Jobless Party. 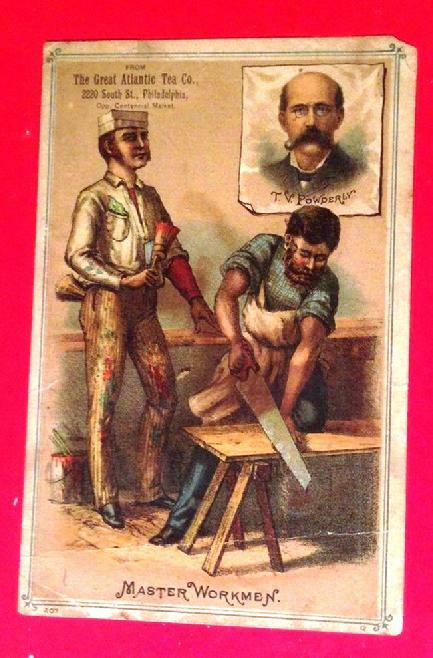 The Jobless Party supported government public works and labor unions, and spread from Pittsburgh to other major cities. James Cox became the Jobless Party's first presidential candidate. Even Cox's bishop viewed his race as an effort to give substance to the encyclicals of Popes Leo XIII and Pius XI. In September 1932, however, Cox pulled out of the election giving his support to the Democratic Party ticket and Franklin Roosevelt. This effectively led to the demise of the Jobless Party. After the presidential election of 1932, Cox continued his relief work and was a member of the Pennsylvania Commission for the Unemployed. In the mid-1930s, Roosevelt appointed him to the state recovery board of the National Recovery Administration. James Cox became known as Pittsburgh's "Pastor of the Poor". Cox was also a mentor to Father Charles Owen Rice, who would inherit his mantle as Pittsburgh's labor priest for the rest of the 20th century. Cox died at age 65 in Pittsburgh on March 20, 1951; he is interred in Calvary Cemetery in the city's Hazelwood neighborhood.